Our mission at AuthenticBahamas.com is to provide our website visitors with the best The Bahamas has to offer... authentic Bahamas travel and vacation experiences. 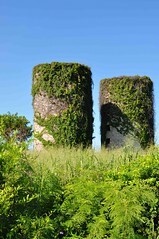 The Bahamas has a rich and colorful history and a culture that is uniquely Bahamian. There is so much more to see and do in The Bahamas than many people realize when they visit only one island and for a short period of time. This section of our site offers some insight into the history and culture of The Bahamas, authentic Bahamas photos and videos, plus information about the many interesting landmarks dotted throughout the islands. We also feature jobs and employment opportunities posted by the many businesses who participate on the authenticbahamas.com website.